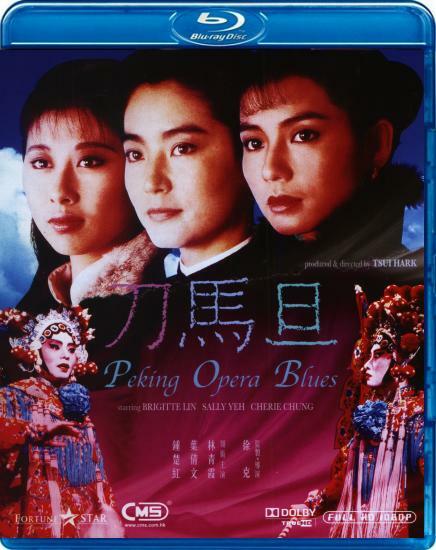 If Fortune Star’s DVD video/audio quality is considered a C, then this supposedly remastered blu-ray of Tsui Hark’s Peking Opera Blues is like a B-. A: The blu-ray video is totally clean, spotless, and scratch-free. A-: The Dolby TrueHD 7.1 is actually surprisingly very impressive if you accept it as a Dolby TrueHD 1.1 audio. It’s one of the best Fortune Star blu-ray audios of an old Hong Kong film that I’ve heard so far. Dialogue is clear, no hissing, not claustrophobic sounding, well-balanced, and action/gun-firing scenes have subwoofer whoomph – basically, a totally solid audio experience. 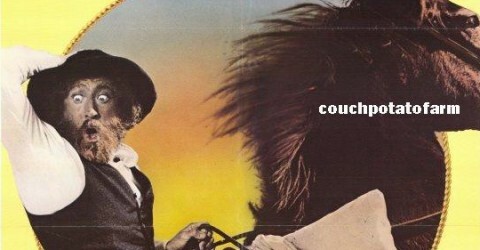 A-: The film’s video quality is a consistent and pleasurable viewing experience. B-: The blu-ray video is better-looking, brighter, and has more detail than the Fortune Star DVD. B-: Close up shots look good, maintaining original grain but don’t be surprised from slightly pasty faces. C: English subtitles are fair with typical Chinglish. I had an idea what was going on, but those subtitles just don’t make sense as a whole. Watching this blu-ray reminded me of how I perceive watching a movie in my dreams – I think I know what’s going on but I have no idea what’s going on. These companies need to hire normal translators. Those English subtitles make the movie worse! For me, the Chinglish subtitles were the only distraction watching this movie. C-: Medium shots and long shots of people’s faces and objects sometimes look poor – ranging from slight interlaced lines, fuzziness, and blurriness. C-: Night/dark shots don’t look that hot. Pretend you are watching a DVD and you won’t get too upset. D+: Just one extra (the trailer), when the Fortune Star DVD had a few more extras. 1. If you don’t have the Fortune Star DVD and if you want to own this movie, buy the blu-ray. 2. If you own the Fortune Star DVD and you don’t have some mega-sized 40+ HDTV or projector, then stick with the DVD.